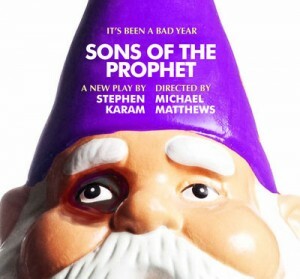 The cast and designers have been set for The Blank Theatre’s Los Angeles premiere of Sons of the Prophet by Stephen Karam, directed by Ovation Award-winner Michael Matthews. Performances begin January 31 with opening night set for Saturday, February 7. In alphabetical order, the cast will feature Ellen Karsten, Jack Laufer, Braxton Molinaro, Erik Odom, Irene Roseen, Adam Silver, Mychal Thompson and Tamara Zook. Set design is by Rachel Watson, lighting design is by Luke Moyer, costume design is by Allison Dillard, and sound design is by Cricket S. Myers. The stage manager is Marcedes L. Clanton, and Sons of the Prophet is produced for The Blank Theatre by Daniel Henning, Noah Wyle, and Sarah A. Bauer. 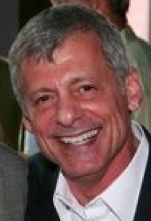 Winner of the 2012 NY Drama Critics Circle, Outer Critics Circle, and Lucille Lortel Awards for Best Play and finalist for the Pulitzer Prize for Drama, Sons of the Prophet by Stephen Karam (Speech & Debate) is a refreshingly honest take on how we cope with wounds that just won’t heal. If to live is to suffer, then Joseph Douaihy is more alive than most. With unexplained chronic pain and the fate of his reeling family on his shoulders, Joseph’s health, sanity, and insurance premium are on the line. In an age when modern medicine has a cure for just about everything, Sons of the Prophet is the funniest play about human suffering you’re likely to see. Preview performances begin on Saturday, January 31 at 8pm and continue on Sunday, February 1 at 2pm, and Wednesday through Friday, February 4—6 at 8pm. Opening is set for Saturday, February 7 at 8pm. The regular performance schedule will be Friday and Saturday at 8pm and Sunday at 2pm through March 15 Extended Through March 29 Now Extended Through April 26. Tickets are $25 for previews and $30 for regular performances and may be purchased online at www.TheBlank.com or via phone at (323) 661-9827.